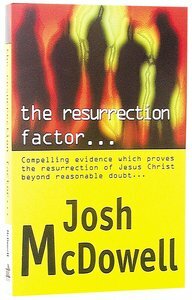 Here is compelling evidence from respected author Josh McDowell which proves the resurrection of Jesus Christ beyond doubt. This comprehensive study will bring new conviction, fresh purpose and extraordinary joy to your life. 221 pages, from Alpha Books.